Energy drinks make you jittery? Energy bars too much like candy bars? 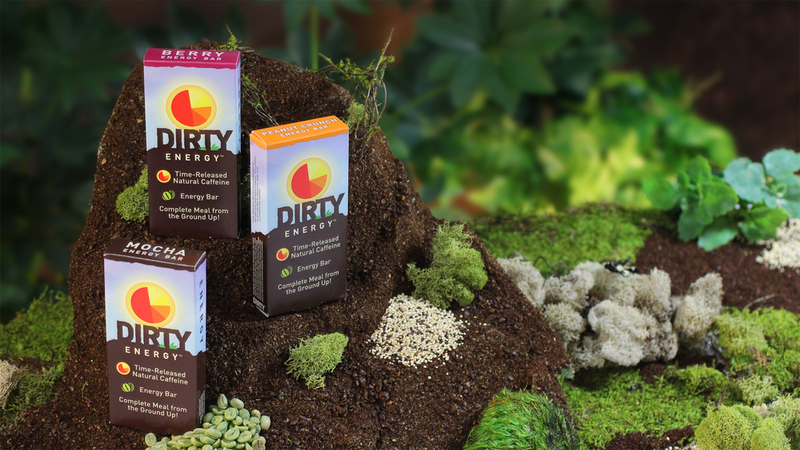 Dirty Energy enlisted Go Media’s video production services to create an exciting and “high-energy” commercial to showcase their amazing line of energy bars. The first company to create java powered, time released natural caffeine energy, the folks at Dirty Energy gave our Cleveland based video production crew the creative reigns. They asked only that the commercial bubble over with enthusiasm and be infused with the moxie that comes with the Dirty Energy name. Maybe it was all of the Dirty Energy bars we ate around the office or just a stroke of creative genius, but we immediately decided that our leading man would look less like a man and more like a muppet. And, we laughed, he’d be appropriately named after Dirty Energy creator Rocky Purpero. That was it. Our Dirty Energy monster was born. After calling Rocky with our concept he chuckled and agreed, so we got to all the nitty gritty: script writing, prop manufacturing, talent scouting, sound engineering, videography, editing. Dirty Energy bars are packed with natural time released caffeine and super-food quinoa; the perfect balance of protein, carbohydrates and super fuel. You’ll get hours of power with Dirty Energy Bars.